HomeCrazy ComparisonsSo IS the Sony NEX-5 the poor mans Leica M9? The Noctilux tested on both! So IS the Sony NEX-5 the poor mans Leica M9? The Noctilux tested on both! 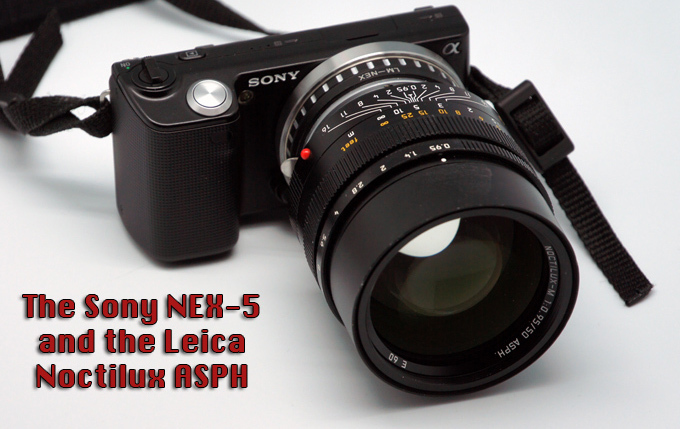 Is the Sony NEX-5 the poor mans Leica M9? Testing the Noctilux on both! Many of you have been asking me for a quick test like this, and since I have a Leica M9, Noctilux and Sony NEX-5 on hand I decided to snap a few shots in my backyard to see just how much difference there is between the two cameras, when using the same 50mm Leica lens. I spent yesterday and this morning grabbing some quick shots with the Leica Noctilux ASPH f/0.95 lens on both the M9, and the NEX-5 with Adapter. 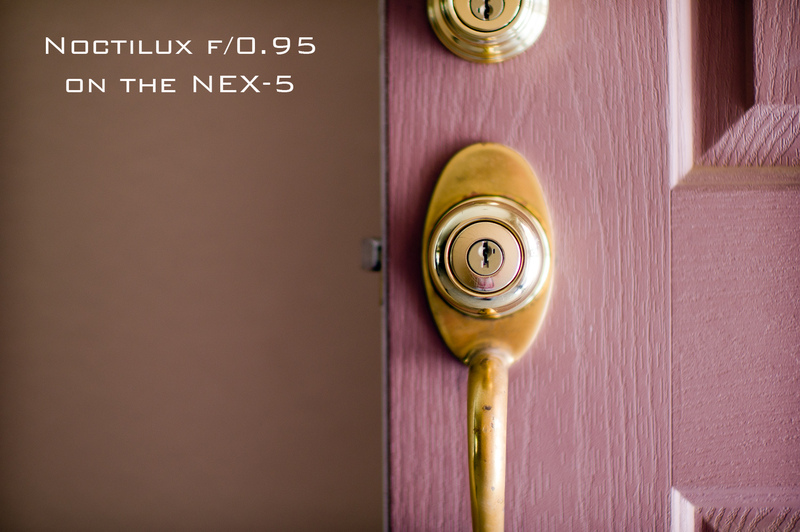 The big question…Can the NEX-5 give results equal to or even close to the M9 when using the same lens? Many think that yes, it can. Some feel that the NEX can do better and others will say NO WAY, not possible! Others will say “WHO CARES!”. I would like to personally believe that the M9 would wipe the floor with the NEX-5 using the same glass because let’s face it, those of us with a Leica M9 have paid dearly for it and for some $600 camera to come along to match it would be kind of upsetting to some. Honestly though, It wouldn’t be to me as I love the whole RF shooting experience and the NEX doesn’t even come close to that experience when shooting with it. STILL! I have written quite a bit on the NEX-5 as it has been quite the popular little gizmo due to the fact that you can use almost any lens on it, when using the correct adapter. I have seen some lovely shots with the NEX with Canon glass, Leica glass, Zeiss glass, etc. But still, when I look at these shots they all have the Sony NEX “look”. 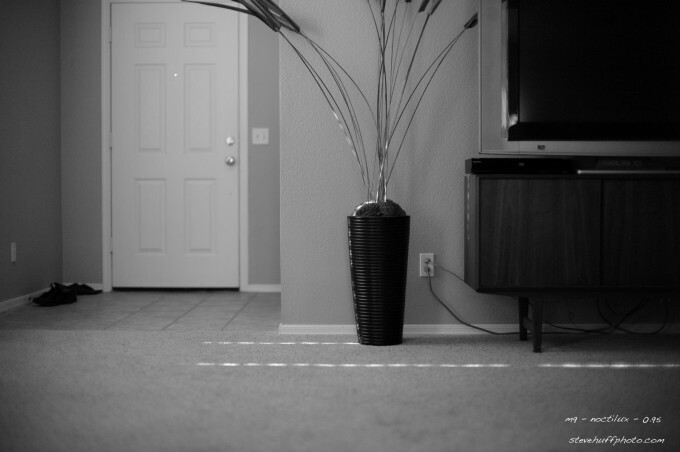 I do not mean this in a bad way, just that the NEX-5 has a certain feel to the images it puts out. The color, and overall smoothness of the file always tells me what was shot with the NEX-5. When I shoot the M9 and nail focus, the files still make my jaw drop to this day. Gorgeous. 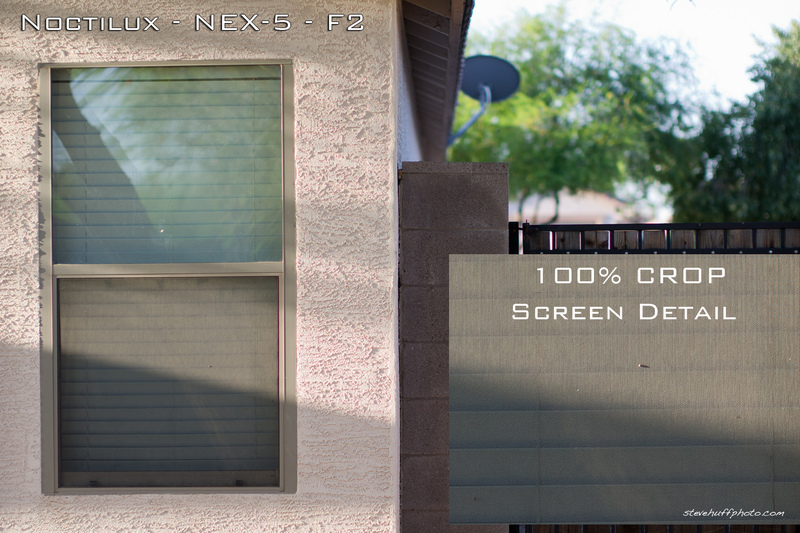 So what I wanted to do was take some random test/snapshots with each camera using the $10,495 Leica Noctilux lens. The Sony has a 1.5 crop factor so the 50 will become more like a 75mm. That means that these images will not be exactly the same in regards to the focal length appearance, but hopefully you can get an idea. I have to say that when going over the images I was surprised how well the NEX-5 did, but at the end of the day, the M9 pulled ahead and it is mainly due to the color signature, the lack of an AA filter and the fact that it is using a full frame sensor. This also made me wonder if there is anyone out there who bought an NEX-5 and a lens like the Noctilux to use with it. IMO, it would be a waste as the NEX sensor can not take full advantage of this masterpiece lens. My money would be on something like a Zeiss 50 Sonnar or 50 Planar if I wanted to shoot M glass on the NEX-5. 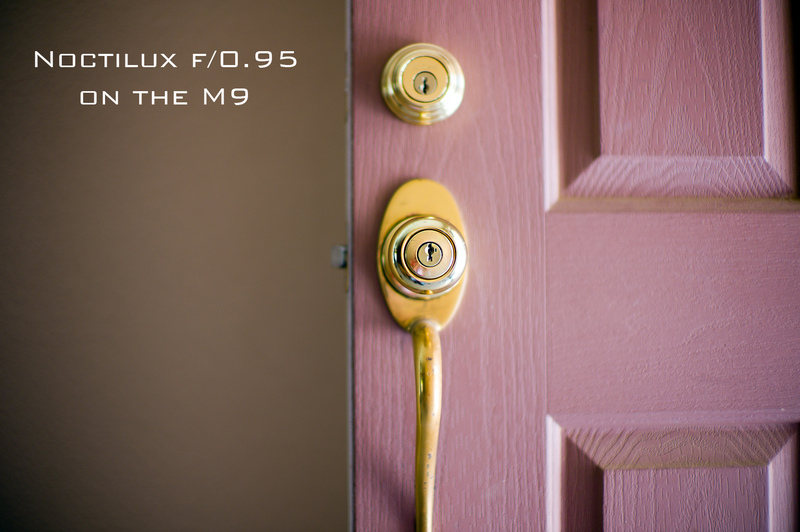 The first test snapshot – Just an image of a door handle. Actually, the NEX-5 did great here. It took me approx 3X longer to manually focus the NEX accurately than the M9 but it wasn’t so bad. Just takes some getting used to. and now the M9 image. See how it looks a bit more dreamy and with what appears to be more shallow Depth of Field? This is the full frame sensor at work and we see some vignetting of the lens as well. Shot wide open as was the Sony shot above. What I see in the two shots above is the NEX-5 shot is very sharp and looks like a crop sensor image to me. The M9 image is showing me the classic 50mm focal length and has the Nocti signature where the NEX really didn’t have it. BUT, the $600 camera did quite well I think! Some will probably even prefer the NEX-5 shot here with the more clean rendering. Hmmmm. and now with the M9. In this set, I much prefer the look of the M9, Just has that Nocti look and glow IMO. Again, straight out of camera RAW conversion. and now with the M9. Both are very good…which do you prefer the look of, or do you even see a difference? So even with these silly test snaps from my yard we can see that the NEX-5 does fairly well when shot in good light against the M9. Still, for me at least, the M9 holds the edge with its full frame sensor and color signature and most of all, the shooting experience. When shooting the Noctilux on the NEX-5 it was sort of a pain due to me having t o magnify the screen, dial in exact focus, then un-magnify the screen so I can compose and then finally take the shot. It’s a lengthy process where you can forget about ANY sort of action shot when shooting like this. Even the M9 is slow when compared to the AF monster DSLR’s BUT I CAN get some action shots with the M and Nocti. Also, the RAW files seem much more hardy from the M9 meaning I can push them farther before they turn in to a digital mess. The NEX files seem to break apart pretty quickly when pushed to the extremes. With test shots such as these some will say the $600 NEX-5 does just as well as the $7000 M, but in real world shooting I found the M9 to be much better for me and my style of shooting. But with that said, you can’t really argue about the results that the little Sony NEX can pump out. It’s more capable than I previously thought though it is cumbersome to use with manual lenses. Then again, it all depends on what you are shooting and your personal style. If this little NEX had a full frame sensor I think the results would be pretty damn similar to the M9. So imagine…a pro level NEX with a FF sensor and no AA filter coming in at $1199. Now that would be SWEET. One more, out of camera JPEG. ISO 1600, B&W. In the shots above, both were shot as in camera JPEG, ISO 1600, B&W mode. To my eyes they look pretty similar except for the fact that the M9 is using ALL of the lens. 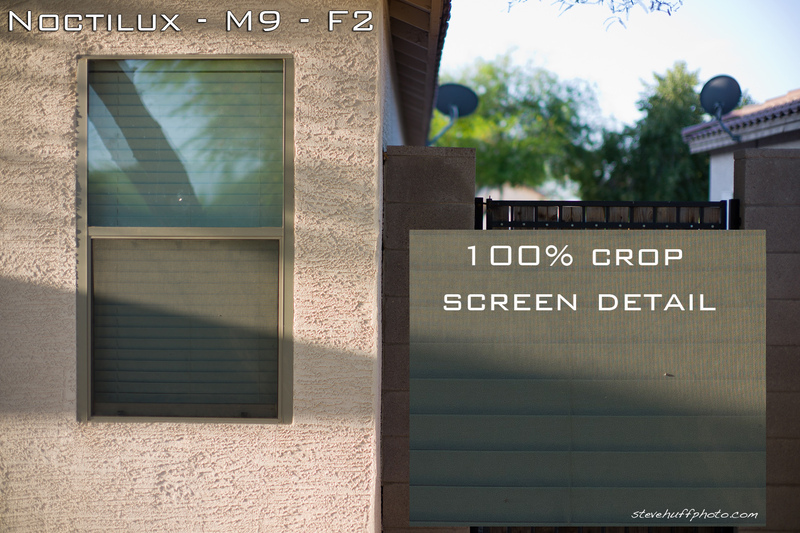 if you crop the M9 shot, the results would be similar to the NEX-5! Interesting! Check back in the next day or two as I will be reviewing the Sony 18-200 Lens on the NEX-5. Think I will take a stroll to the Phoenix Zoo today and give the lens a workout. 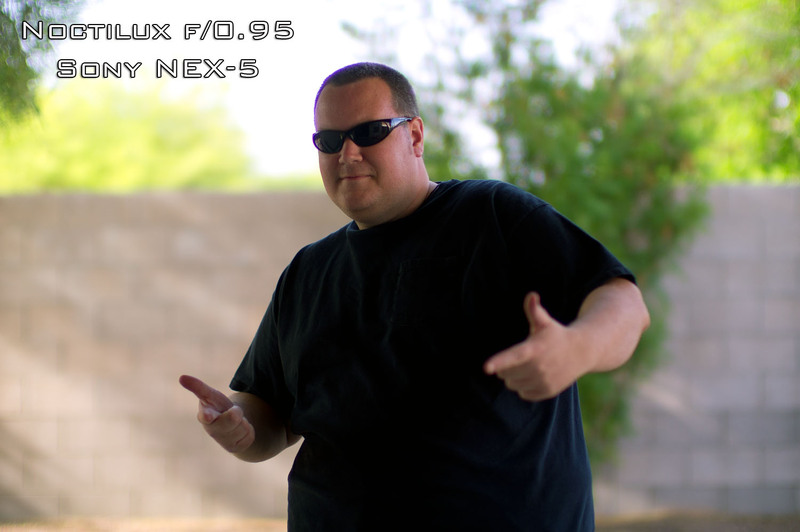 If any of you missed my NEX-5 review, you can take a look at that here. As always, thanks for stopping by! My M9 Daily Diary is back to regular updates! I own and love a sony nex-5 but to be honest it has limitations. Working within those it’s a fantastic camera that out performes many other more expencive cameras. The interesting thing here is not if the nex is good or not, it is how over-priced anything with a Leica logo is. Sure, if you pixel gaze, you will find some differences. But is it enough to justifiy the difference in price? Not in a milion years imho. If you went out and bought one of those Leicas it’s only natural to defend that decision tooth-and-nails, talking about wierd etherial differences like ‘feel’ and pretentious stuff like that, but seeing this comparison only made me so much more happy with my decission to buy a nex instead of something more expensive. Funny thing is some are poo-pooing my Nex 5n Rig calling it ugly and not commenting enough on the photos it is producing. Many in Leicaland are concerned with how their cameras look. I chose the NEX 5n because I knew what it could do for my fast M glass at higher ISO’s. 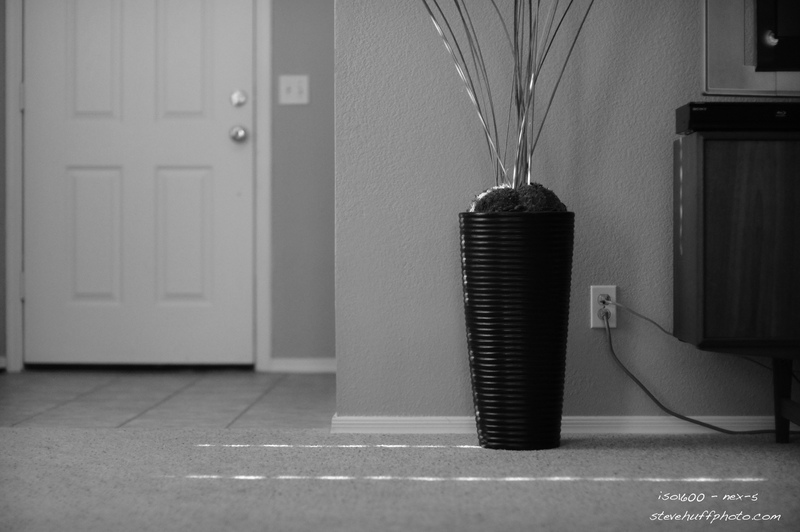 So far, I am very happy with the Nex 5n Noctilux combo. If an ugly camera makes beautiful photos, so what. I kind of like ugly cameras! Look at how ugly the RED camera is and what it can do. I mounted my Noctilux f1.0 on the NEX 5n and Ownuser battery grip. The Ownuser grip is fantastic in that it improves the handling of the Nex 5n when the Noctilux is mounted. 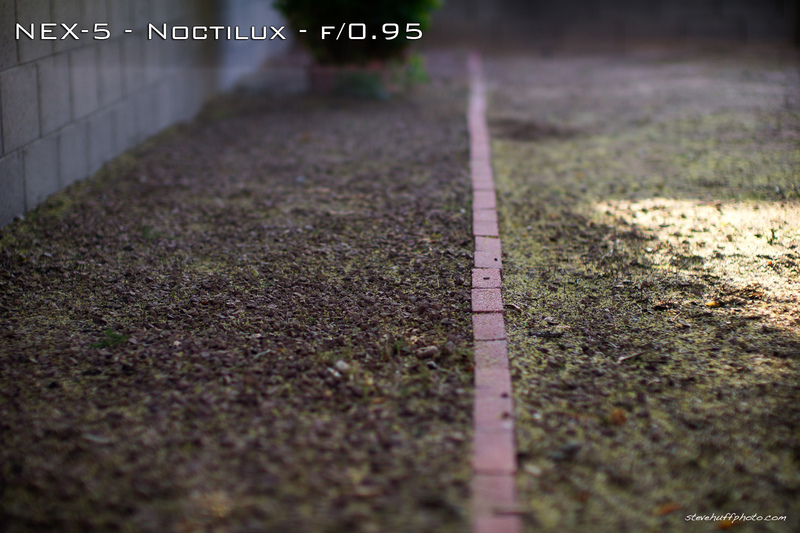 Anyone who owns a Noctilux or larger lens should consider the Ownuser Battery Grip if they intend to use their Nex 5n. Wow, exactly my experience! I use the NEX-5 with Zeiss glass (indeed, using it with the Noctiux is a bit crazy, because then I would be able to spend that kind of money for an M9 – of course!). My great frustration is indeed the cumbersome manual focusing of the NEX-5. But still I worry a bit about the manual focusing. Is it really as easy as with the M9? By the way, I would be glad to pay $2000 for a FF NEX-7, if the manual focussing would be really fast. Great tests with emerging technology vs. the best of the best. As we are seeing, the technology is great and the Nex just needs some lenses and FF is best, but at what point has FF been tricked down to be affordable for the enthusiast still is unknown (even for Dslrs). Sony seems to be trying to make a point that maybe FF is not necessary because it comes along with even larger lenses. The only problem I find with your comparisons is that the focal length is not comparable, throwing off the DOF and the angle of view. I dont have an Nex yet, but I foresee Sony making a touch screen which would possibly be infinitely configurable. It is kind of like the original Iphone- a lot of people didnt get it, but now it is widely accepted. I’d give the Sony a “not bad.” But the Leica M9 consistently seems to capture closer to what our eyes see naturally. By the way, I find all of these comments to be helpful in evaluating both cameras. Thanks to all. Hi Paul, thank you for your answer and comment. I am using the Rainbow adapter that is available at Amazon. Out of the box it worked well provided you always focus manually. Range estimating and composing the image was hit or miss for focus with most lenses shorter than 50mm; the adapter was not quite long enough. I have since fixed this situation and I can get good results with my 35mm and longer lenses. Though, my wider lenses need a different adjustment, so I still need to focus them for best results. Please keep in mind that my results are for my adapter. If you buy one, your results will probably be different, and possibly better, as I have not found anyone else mentioning the same issues I had. Allow me to point out a couple of things that no one has commented about. First, it appears that the images made with the Sony have more depth of field (DOF) than the images made with the Leica. This is most evident in the images of the bricks in the yard. To me it looks like the Sony images have about double the DOF than the Leica images. This is something that should not be happening, since DOF is independent of format. All 50 mm lenses will have roughly the same DOF on 110 film, APS-C, 35mm, medium format, or large format, if the format is the only difference between images; format determines the angle of view not DOF. If we are using the same lens on different cameras the DOF should be identical. If this lens is the same lens you used during the recent concert tour, this reduced DOF is a partial explanation of why some images were out of focus. I suggest that you view both images at equivalent levels of enlargement (i.e enlarge the Leica images 33% relative to the Sony) to eliminate the crop factor and compare the DOF between lenses to see if this is really the case. Second, the images of the bricks also has focus shift between the two camera bodies; the Leica appears closer. Did you shoot these images using a tripod, and/or focus on the same point? Holding the Sony away from your face and not refocusing after switching the lens between bodies might be the cause of the focus shift. But if you refocused for each shot and the lens to subject distance is roughly the same, there is probably something going on with this Leica Nocti/M9 combination that is not within specifications. Hi Steve: wich adapter are you using? I can not spend 270 on the novoflex. Any good sudgestion? Well, based on this test, I recommend that everybody buy now a NEX camera and an appropriate lens. And while y’all are diligently spending your dollars, I’m out shooting with my M8 and its ‘crons. Steve, thanks for this. While it is not nearly a Leica Noctilux, I do have a Nikkor manual fast fifty for which I am planning to buy an adaptor, as I own no Nikon bodies. A NEX has started to seem like a viable alternative temporary home for the Nikkor, at least until Sony starts selling better lenses for the NEX. Not that you have sold me on a NEX, of course, just given me more food for thought, both pro and con, as a good unbiased review should. The lack of a really good EVF is a big strike against the NEX, as I so seldom use live view with my Canon DSLRs, except when on a tripod. One thing a NEX could do for me, however, is offer a more compact way to carry a spare camera body at work, where I do mostly use a tripod, and mostly deal with still subjects. Another thing that could explode sales of the nex system, would be a rangefinder modular part on top to plug in and out. I love the sensor of the NEX, dynamic range and color rendition are just amazing. But I agree with Steve that it would be perfect if it where full frame. Due to the crop factor I never use a focal length higher than 35mm on the nex. A real fifty on a full frame nex would be sweet. Interesting results, the Leica might pip the NEX generally, but of course no-one buys the M9 for image quality, any more than they bought Leica film cameras for the image quality. The reason is the that the image quality is the same as everything else, within a certain tolerance that only pixel peeping can see. That’s not to say the M9 is not worth the money, if it’s worth it to the buyer and he/she gets enjoyment out of it, then it’s worth it. I like the Leica for it’s rangefinder and feel. It’s just art in the hands. I was aggravated by the low light files looking so noisy though. The M9 is probably better but I’m going to wait for an improved, more reliable M10, or M11. Elaine, look at Steve’s ISO 2500 files from Seal’s tour. No noise is visible. Grain yes but no noise. And grain, in my opinion, actually adds to the beauty of a picture in most cases (not always but often). I add grain to my ISO 160 files all the time. I like the texture it brings to the picture. The thing is that with high ISO shots exposure has to be spot on. Then you get a clean file. To illustrate my point I want you to look at something horrible: my face blown up to 100%. Sorry about that. I made this shot with my M9 at ISO 2500. My exposure was a tiny bit off but still you can get my idea. Despite its ugly content the picture shows almost no visible noise. It was an out of camera jpeg. A Russian saying goes: “Better to have a sparrow in your hand than an eagle in the sky.” It’s tempting to wait for some future model but then, it won’t be perfect, either. Nothing is. I say, we should use what is available now and be happy. M9 is a great camera but it requires skill to have consistently good output. But I think that’s the most fun about it. 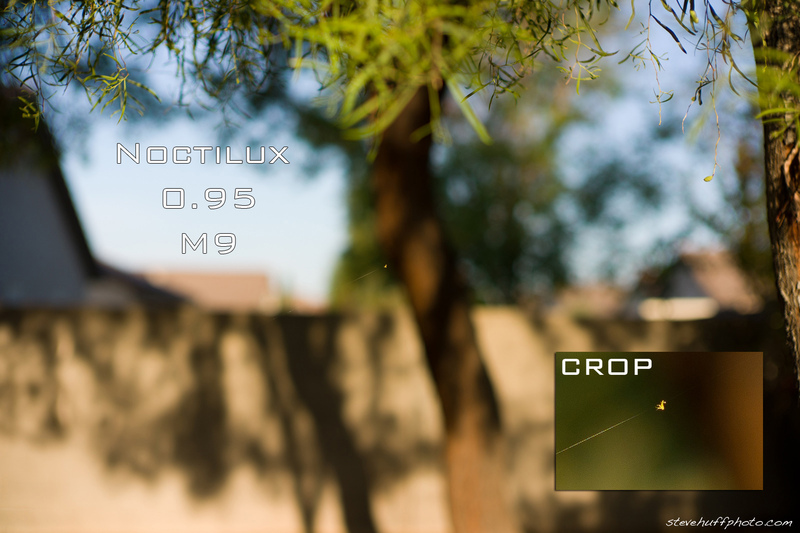 The noctilux is a beautiful looking lens, isn’t it? Make some movies with the noctilux on the Sony. Look at the live view as you stop down the shutter. Cool? There is something about the M9 (that was already there with the M8) which surpasses any camera out there. Tone, definition, depth of field, micro-contrast, nothing compares to the Leica; most modern camera give nice, saturated and… pretty flat pictures. I guess that the absence of anti-aliasing filter on the Kodak CCD is certainly what makes the difference. Alain, I agree with you. Whenever I compare M9’s output to that of some mainstream DSLR’s, I always end up favoring the one from Leica. I don’t own any DSLR but occasionally I get to shoot other people’s cameras. Here are two shots made within minutes from each other. Same light, same model, same photographer (yours truly). One picture was made with Canon 5D and a 24-105 f/4 lens @f14 and the other — with my Leica M9 and Zeiss Sonnar 50/1.5 @f4. The Canon shot looks underexposed. Thats about the only difference I see. No, Vlad, why? F14 that is. Look in the EXIF. Yes, it’s a bit underexposed but there are more apparent differences if you look closer (by clicking on the pictures). Anyway, I didn’t want to start a lens comparison thread. Just wanted to show those two pictures after I saw Alain mention M9 compared to 5D. Vlad, I didn’t set up the Canon. It wasn’t my camera. The owner is on those pictures. He set it up the way he wanted and asked me to make his portrait, which I did. Of course, there was a strobe there and ISO was 100. Don’t ask me why he set it at f14. Perhaps, for maximum detail. I don’t know. When I shot my M9 I set it at f4 because I find it good for portraits with that particular lens. My ISO was 160 and I also used the same strobe with its output readjusted for wider aperture. Got it! Didn’t peak at the Exif data but from the file names I could see which one is which. Funny, I have seen some mind blowing portraits with that combo. Thanks for clearing it up! Vlad, I have no doubt mind blowing portraits are possible with that combo, or with virtually any gear! The mind blowing part in a portrait has nothing to do with technical specs. It’s in the expression, which you can catch even with a cellphone. Anyway, that was a silly comparison shoot. The guy gave me his camera and then I thought why not make the same picture with my camera and then compare the results. No serious intentions at all. Just playing. By the way, after shooting rangefinders for a while I felt quite uncomfortable with one particular aspect of shooting with 5D: the viewfinder. It gave me some claustrophobic feeling: like I was looking through some narrow tunnel with my little model at the end of it. I am so used to seeing everything around my subject and feel myself as part of the scene! Arrrgh! Didn’t like that ‘tunnel’ sensation at all. Maybe Nikon and Canon should dump the AA filters and use CCD? Gimmie a break. Once again the mystical Leica “magic”. In case of examples posted I wouldn’t be putting difference in results onto camera. It took me less than a minute to download both files, apply PE Quick Fix to Canon one and end up with a Canon result that looks not only MUCH better than one posted here but also IMHO better than one posted from Leica. Zoran, my idea was not to show superiority of Leica over Canon. To me Leica is better because I prefer shooting Leica. To a Canon user his camera will be better. Image quality is certainly comparable and of course you can PP any image to your liking. My post was not a serious attempt to compare or test anything. It was rather like “hey guys, look at these two pictures made with two different cameras!” No conclusions, no statements. Just a silly visual post. Gregg, for some reason I was having impression your sentence “Whenever I compare M9′s output to that of some mainstream DSLR’s, I always end up favoring the one from Leica” followed up by side by side shot from DSLR and Leica was meant to illustrate why you are preferring output from Leica over one from DSLR. Thus what I was trying to say is that forming preference of output should be done on output that is correctly taken and processed. Otherwise one is comparing apples to pineapples and thus foundation for forming of a preference is fundamentally flawed. Zoran, you’re right. Your reasoning is solid and my post was silly (as I mentioned several times already). I should have said “Here are some apples and pineapples. They are both delicious but I like my apples better.” Actually, that’s probably what I feel in real life. It’s not that I dislike DSLRs or the files they produce. There are outstanding cameras in that category with outstanding optics and quality files. I used to shoot with a Nikon D700 and I remember loving the output. The thing is that I just prefer rangefinder photography and Leica is the only FF digital rangefinder camera out there and it happens to be a great camera. You can get comparable results from both systems. It’s just a matter of preference of one over the other. Somehow Leica people tend to be a bit too passionate about their cameras (otherwise this site wouldn’t have existed). I don’t know why, really. It could be the legend behind the brand, the precision hand-assembled German mechanics, the compactness and simplicity or the secret potion that Leica engineers coat their products with, so that when you hold them to your face the magic fumes evaporate and hit your brain and turn you into a ‘believer’. I have no clue. I just like it. I feel like HCB who exclaimed “You can do anything with a Leica!” Of course he was wrong, technically. If you think seriously about his statement you could refute him easily. You can’t do ‘anything’ with a Leica. In fact, you can do much more with a DSLR. So, was he wrong? Um. yes… But, on another thought — hell, no! You CAN do anything with a Leica! My favourite budget camera is still the Lumix GF1 with its little 20mm pancake lens, but I still also like what you can get from the NEX, nice work. I love the Lumix too. I agree with Ronnie, your images are very nice. One of the reasons I purchased my NEX-5 was the images I found on Flikr that used Minolta, Canon, and Nikon lenses. From my experience using M-mount lenses, for wide angle photography you may be better served using an SLR lens than a range finder lens. Since the SLR lenses are made with a larger back focus distance to provide room for the mirror, the light from the lens will more direct on the sensor and won’t fall off at the edges like range finder lenses can. Nice set of datapoints. My square-engineering mindset loves data to compare/record. 🙂 This poor engineer is very much liking his poor man’s DLUX-5 (afaik aka Lumix LX5). cheers! Steve is right about the 3D effect as well as the signature look when the 0.95 is deployed along with the M9. Operation wise, 0.95 feels gigantic on the NEX but I find the percentage of accurate focus is just as good if not better given the NEX 7x magnifying function and to me a rather seemless operation. If only next generation of NEX would come up with FF + better grip + w/o AA – Leica would have serious competition ahead. If the information at the SonyAlphaRumors site can be believed, the NEX-7 should give the M9 a real run for the money. Rumors have it that the NEX-7 will have a 24MP APS-C sensor, an EFV, and a more “Pro” grade build. We will see what is correct and what is wishfull thinking if this camera is announced this summer. Though I agree no AA filter would be nice. Thanks for reminding me that there is still some fun to be had in photography. I don’t skip over anything that you write. I think that you’re a terrific reviewer and photographer. Sometimes I forget that there is still fun to be had in this country despite the current political and economic situation. Just for fun in the past two days I shot two rolls of film with an old Olympus 35 RC film camera. Not too bad for a camera made back in the days before anyone even imagined that there would be digital cameras around some day. I sort of retired my Canon 5D, 40D and 30D and all the great lenses that I bought for it. Too much digital mania has removed a lot of fun out of the world of photography. 35 years ago, my wife and I built our first “running water” darkroom in our basement. We developed a lot of film and made some nice prints in that darkroom. I think we even made our second son in that darkroom!! Those were the days when photography was REALLY FUN! Keep up the good work. I like the Olympus 35 RC! I also love the little Olympus Stylus Epic and Yashica T4, (the latter I gave to a friend). I concur. RPP is great in output image IQ but its UI is a pain. I use it when I want to have the best quality print. As for detail, it seems the very weak (or lack of) AA filter on the NEX gets close to the M9 in detail, although the M9 will obviously win the detail battle. As far as color difference, we’re really just looking at the difference between your raw profiles in your converter. 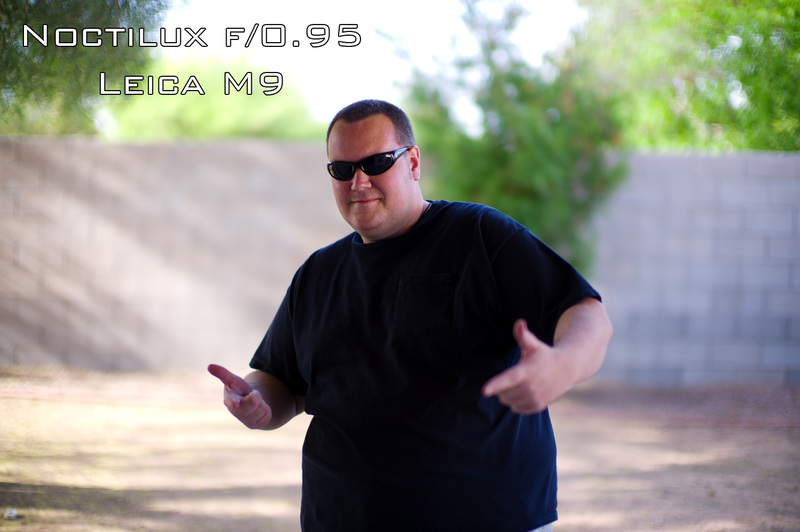 You can profile either camera to get whichever color you’d like, and the NEX-5 has a higher sensitivity metamerism index than the M9, so it really just depends on profiles and converters being used. Can you provide some RAWs so that some of us can compare in an optimized workflow? Thanks! That was a cool design, Douglas! Cool DIY engineering, indeed. But that makes the whole compact-camera concept obsolete. Why not just buy a decent cropped DSLR and get it over with? Uhm, okay Greg, We believe you. I am relieved. Someone believes me. Talk to my wife, please! Great looking images from the Sony, but it just doesn’t have “that look”. Even if the Sony had ousted the M9, I don’t think I could go back. It’s the ease of use and ability to just get back to shooting and quit worrying about the technical details that drove me to Leica in the first place! You, and Steve, are correct; the best method of using the NEX cameras is not how Leica users generally want to work. Using a Leica is very spontanious and fluid, and generally handheld. The NEX cameras, when using manual focus lenses, on the other hand work best when the process is slow and focused (pun intended), and generally from a tripod. Which is very similar to using a large format camera. Yes the NEX camera will provide good images handheld, but you loose the spontanaity and fluididity of the rangefinder. Fifty year old eyes and glasses slow you down a lot too. Cool review, Steve! I wish you did some shots at f/5.6 and up, though. Wide open shots are a lot of fun but you really can’t fully judge the performance of a camera that way as much detail is lost to shallow DOF. Can you do some f/5.6, f/8, f/11 and f/16 shots and post them here? That would be nice. Once again, your test proves the same truth: optics do make a difference. Noctilux really shines! But I guess, the Sonnar 50/1.5 would also do great in such a test. Price wise it would make more sense to pair it with the NEX but performance wise I think it would be the same issue of Sony not using all of its potential. Couple of days ago I tried shooting portraits with my friend’s NEX coupled with my Sonnar and I wasn’t very happy. I’ve noticed one thing, both in your test and mine. Sony does great in most cases but when it comes to rendering the human skin it visibly fails (in my opinion; I could be wrong). I shot some architecture with my friend’s Sony and the files were very nice but when I tried portraits I was disappointed. I guess, human face is the ultimate testing ground for a digital camera. Even with the same great optics the difference is very noticeable. Just my observation. Sony cameras in general actually have some of the better color separation in skin tones of any make. Any issues you’re having with NEX skintones are more than likely a result of your raw converter’s color profile for the NEX, so I would either make a custom profile or switch raw converter brands. Douglas, it looks to me that the problem I’m referring to is not about colour. Seems to be a resolution or microcontrast issue. I may be wrong, though. It’s just my personal experience and observation. I tried shooting with different lenses and always came to the same conclusion. Looking at Steve’s shots also confirms that observation. The M9 certainly has a bit more resolution, but the color separation I’m referring to actually provides more skin tone resolution with the NEX than many cameras. I still suggest it is how your raw converter of choice and/or its color profile is dealing with NEX files. Which converter are you using? Douglas, what is a good RAW converter for the Sony? I’m curious. I use Adobe Photoshop. I’ve her of Silky pix or something similar. What is a good RAW converter? Use Sony’s? Douglas, I use three different converters depending on what I want to do with an image: CaptureOne, ACR and RPP. I didn’t do any extensive testing with NEX files since I don’t even own that camera. Got to play with my friend’s NEX a few times in order to understand if I want it or not. I am looking into getting a companion camera for my M9 as a backup and for those rare occasions when I need to use a specialty lens incompatible with the M9. So, I wasn’t very serious about this research. Shot a number of pictures in different lighting conditions with different lenses and roughly analyzed the results using mostly ACR (which is not the best RAW converter out there). My subjective conclusion is that the NEX is quite good for most situations but I wouldn’t do portraiture with it. And for that I have my M9, anyway. I never tried to compare the two cameras. They are very different and one would never substitute for the other. Rather, I see them complementing each other. But, as per Seal’s advice, I am holding tight and not buying the Sony yet. Let’s see what Leica is cooking. I’m not in a rush. Douglas, since you are much more into Sony NEX than I am, I wonder if you could post a few samples of portraits shot with some good glass and properly converted. It would be a great help for everyone here. After all, we all want to see what this little camera is capable of. That’s why we come here and read this thread. Greg, I am not sure what exactly you are referring to while you talk about NEX5 having problem rendering the human skin and problems with resolution/microcontrast etc when NEX5 has clearly, according to DXOMark, better dynamic range and practically identical tonal range and color sensitivity to M9. In any case, can you please point out those issues to me in shot below that has been taken with NEX5? Thank you in advance! Zoran, I am not much of a pixel peeper and I don’t really care about numbers and charts. Not that I think such data is incorrect. I just don’t take it into account while evaluating images. I trust my own eyes and feelings. Maybe not be a very scientific way but that’s what I do. But then, of course, if I have formed an opinion I have to express it somehow, so I use some terms like ‘microcontrast’ or ‘resolution’ or whatever else I see more or less fitting to explain my feeling about the image. I could have said “there is something wrong with the image” but then it would have been a vague statement. I wouldn’t attempt a critique on your picture since I can’t see the whole image. On the technical side I can’t say much, although I see some flaws (particularly very strange things happening in the upper part of the image in the highlighted hair). On the ‘feeling’ side I can say more. I think Sony NEX’s files are way less dynamic than, say, Leica’s or top-level Cannon’s or Nikon’s, etc. What I mean by ‘dynamic’ is that you can’t stretch it much as it will start falling apart. I think Steve mentioned it in his review. Sony’s files look to me like there’s not much depth in them beneath the surface image that we see. Like, there’s only one layer there. Whereas, the top level professional files from other cameras look deeper and multilayered. And film images look to me still deeper than even those top quality digital files. I don’t know how to define it scientifically (nor that I want to) but to me this difference is as apparent as a chalk picture on the asphalt compared to an oil painting. Love the comparisons! Great fun and, for those of us not in the M9 realm yet, we can at least have fun with our Nex-5’s and Voigtlander lenses. Thanks for these reviews. Any idea when your X100 will arrive? An unlikely match. 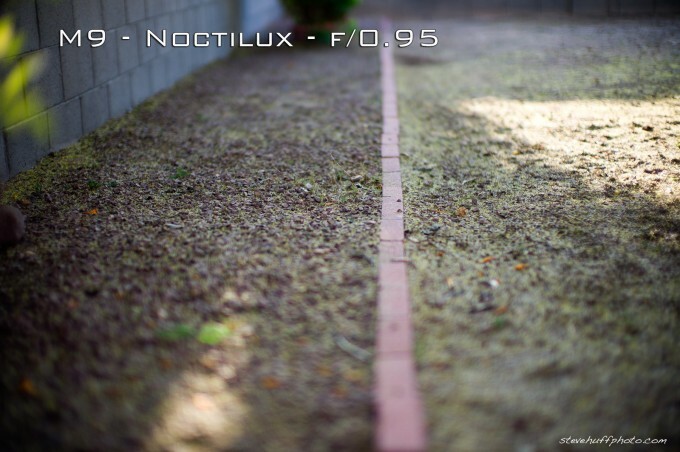 Anyone who can afford to buy a Noct at $11K is not going to try to couple it with a NEX-5. For the more expensive Leica lenses like a Noct or the new Leica 35 Summilux ($5K), or for that matter for any Leica lens, would be foolish not to use these great lenses on good Leica film cameras or with an M8.2 or M9. Voigtlander lenses, many of which are very good, are more of a practical or likely match for a photographer using a NEX-5. This is especially true for black and white film photography. Any Leica film camera using Leica lenses and coupled with good slow speed black and white film, produces amazing images. Images which are far better than any NEX-5 setup can produce. 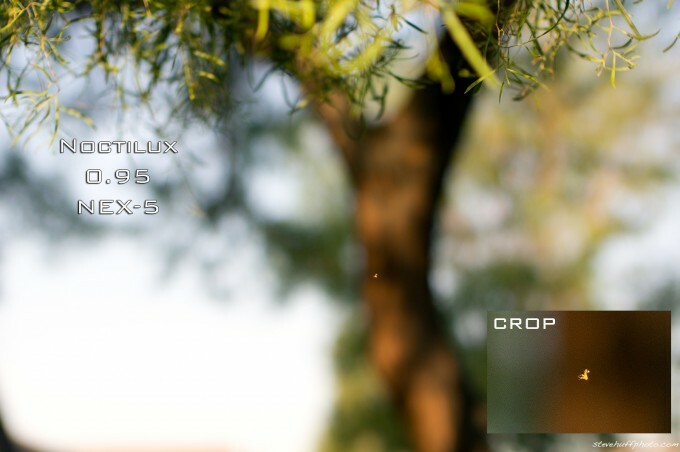 If anyone choses to use a NEX-5, use it with NEX-5 lenses. That makes sense. With al the new and excellent 4/3 cameras coming out, reviewers like Steve Huff, and many others, can keep themselves occupied forever reviewing all the the various camera/lens combinations. I’d rather spend my time trying to create good images with any camera/lens combo. For the most part, that is something that I’ve been unable to do. Its all just for fun Rick, many like seeing these ‘Crazy Comparisons” so why not? If you are not interested, you can always skip over it. But I agree, no one is going to buy a Nocti and use it only on a NEX. Keep shooting! Certainly, nobody would typically couple such a lens and body combination (although this does show that a Leica user could stick a little Sony NEX in the bottom of his camera bag in case the Leica breaks down for some reason). But I found this quirky test informative, because it shows that the sensor and processing of small low end cameras are getting better everyday. This gives me some hope that perhaps the forthcoming Ricoh GXR m-mount, might possibly do a decent job in terms of image quality provided it is paired with excellent glass? As far as the GXR’s UI is concerned, lord knows how they intent to solve the focusing issue? There is one person complaining difficulty of focusing from M9 with Noct. understand in every way. You can take a look at http://www.flickr.com/photos/royprasad/5607153794/ . BTW, many thanks to your interesting article here as always you do. Leicanut, that article (or whatever it is) has nothing to do with photography. It’s all about this and that equipment written by a non-photographer (I don’t mean it professionally; I mean, in essence). Was actually a very amusing read. I also do not understand him, nor do I want to. I disagree. The M8.2 is no match for the little NEX-5 in the overall IQ department, and I’d say color photos from the NEX stand up to color film very well. In fact, I think Steve’s test shows that, outside of a slight detail difference (the NEX has a very weak, if not non-existant, AA filter,) and the obvious field of view and DOF differences, the NEX holds its own against the M9 nicely. Color differences are a matter of color profiles in your raw converter. When you adjust focal length to result in an equal field of view, and, say shoot a 35mm lens at f4 on NEX vs. a 50mm lens at f5.6 on the M9, the differences between the two will be even more slight. Granted, I doubt one would purchase an $11K lens for a NEX, but I’ve had no problem spending money on various rangefinder lenses in the $750-$2000 range for my NEX-5. The reason to spend 10x the money on the M9 is justifiably based on build quality, style, field of view, and, most importantly, the rangefinder focusing system, but basic IQ differences are slight…especially at “normalish” print sizes and viewing distances. 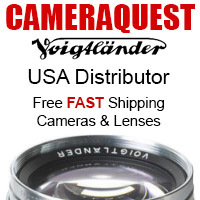 I would love to try the Voightlander lens that is like the Noctilux on the NEX 5. Here is a link to my flickr set for my NEX-5, there’s a few shots with the Voigtlander f/1.1 in there. Elaine, I am afraid there is no Voigtlander lens that is like Noctilux, period. If you mean the Nokton 50/1.1 then I want to disappoint you: it ain’t nearly there. There were some comparison tests done on both lenses (including Steve’s own test here on this web site), as well as numerous statements on the internet that the Nokton is, like, 80% as good as the Noctilux. I used to have the Nokton 50/1.1 and, naturally, I have my own opinion about it. I am convinced it’s no match for the Noctilux. Like, 100% no match. My reasoning is as follows. 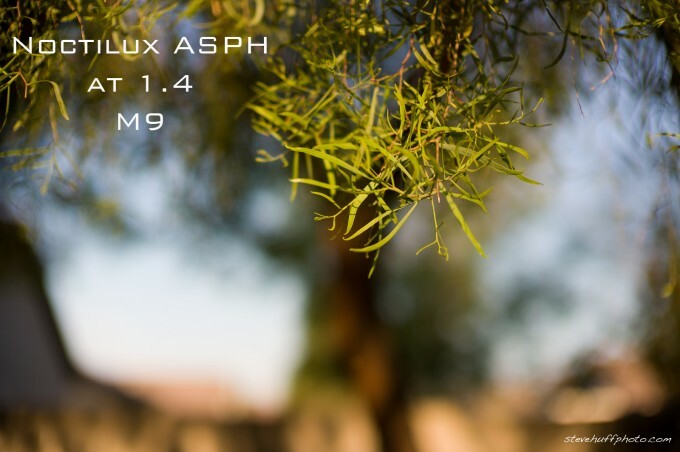 In the ‘normal’ aperture range the Noctilux is not much different from any other decent Leica or Zeiss 50mm lens, like Summilux or Planar (sorry, Voigtlander). Where it shows a world of difference is wide open. And that difference lies in sharpness and resolution in the ‘sweet spot’ area. Total, amazing, unbelievable sharpness and 3D ‘pop’. That is its uniqueness and that’s why it costs so much. Just one little feature that makes all the difference. Apart from that it’s a pretty standard 50mm lens in the top quality category. Those ‘little features’ can be very costly, you know. They require special type of expensive glass and special hand polishing, etc. All that contribute to the astronomical prices of those kind of lenses. There are similar examples in SLR optics, too. Like the elusive Noct-Nikkor 58/1.2. Its ‘little feature’ is its outstanding coma control, which adds about $2,500 over the price of an otherwise similar Nikkor 50/1.2. Voigtlander Nokton 50mm f/1.1 doesn’t have that kind of outstanding ‘little feature’. It’s just a pretty decent 50mm lens with added fast aperture capability. It doesn’t shine wide open. 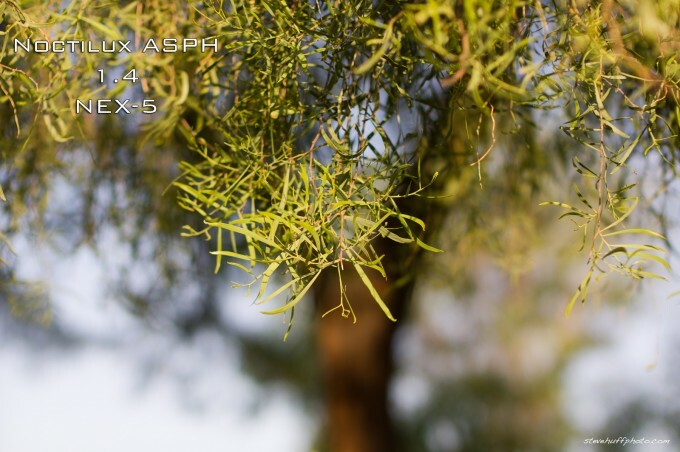 It can produce acceptable (but not perfect) results at f/!.4 and great results from f/2.8 and up but that puts it into a standard semi-fast 50mm category. Nothing outstanding. It is not impressive wide open. Believe me, I tried, and tried, and tried… And if so, why on Earth would you want one? You could settle for a less bulky Nokton 50/1.5 or, as I did, go for the Zeiss, which offers two excellent 50mm lenses: Planar and Sonnar. No Voigtlander glass can even come close to those Zeiss beauties. I sold my Nokton and went for the Sonnar f/1.5. It turned out to be one of the best lens decisions I’ve ever made. The Voigtlander Nokton 50/1.1 looks very impressive but its wide open images don’t. From a distance you can even mistake it for the Noctilux. Like you can mistake a black Land Rover Defender for a black Mercedes Gelandewagen. Many people here in Russia buy those Defenders for that very reason. They look kind of similar but that’s where the similarity ends. No offence, Land Rover. This concludes my mini-article on optics and automobiles. Hi Michiel! Brabus will do, too. Some people in Moscow are just crazy about those G-Klasse Mercedes black boxes on wheels. They cost tons of money and they show your ‘status’. Those who don’t have tons of money but also want to show some ‘class’ back in their village when they go and visit in the summer, they settle for a LR Defender. The village people won’t know the difference, anyway. Greg, I never presumed the Nokton was better than a Noctilux. I would like to use the Nokton, because I like the results from it, and it’s a hell of a lot cheaper. I doubt most people in here could afford an 11K lens, and if they could, they still wouldn’t buy it due to other necessities in life. The Sonnar sounds nice though. Still, I like Voightlander for what it is. Elaine, I never said you did presume that. I think Nokton is a great lens and I said so in my post. The only downside of it in my view is its size. Apart from not delivering Noctilux-like outstanding results wide open, of course. But then if it did, it would cost way more. Size wise, I think the other Nokton (f1.5) is more practical while being of the same quality optically. But then, it doesn’t provide equal low-light performance which may come in handy from time to time. The big Nokton is a great lens, no doubt. I loved mine. But I love my Sonnar even better. That’s why I no longer have the Nokton. I wasn’t thinking so much of the 50mm lens, which a lot of people talk about. I was thinking about the 40mm lens, which is much smaller but not quite as fast. By the way, I know nothing of Sonnar. Who makes it, or is that the brand name? I see, Elaine. 40mm Nokton is a great little lens from Cosina. I used to have it, too. Sold it in favor of Zeiss Biogon 35mm f/2. I quite a few shots with it that I still like very much. But, alas, it had to go for two reasons: 1) the Biogon was a better lens; 2) I am not that rich to keep every lens I like. The Sonnar is, indeed, Zeiss. One of their two current M-mount offerings in 50mm category. The other is called Planar. Sonnar is f1.5 and Planar is f2. Both are superb lenses, quite on a par with Leica’s top glass. I am strongly considering taking the anti-aliasing filter off my K5 to see how it performs….and whether some of the magic is added by that factor along…the waxy look of certain files via CMOS is frustrating to me. Great comparison. Glad that the Noct is in your hands! It would be very interesting to compare K5’s with and without AA filters. There are a lot of stories on the web on this, it would be great to have an unbiassed test. Last year I was able to borrow an M8 for a week and the crispness of the files was something that was obvious. I cannot tell how much this was the lens (28/2.8 ASPH) or the AA filter. Btw an FA31ltd on a K5 without AA filter may just yield better results then at Steve’s comparison with the 35mm lux. I have to say that Sony’s images are better for my taste in many instances; however I also have to say that I refuse to buy any more cameras without a viewfinder. I have to agree. In my world the Nex 5 is a totally useless instrument. If I can’t use a viewfinder I cannot make critically consistent photographs. Period. Its just not photography in my world. Its a shame…because the sensor really has potential as Steve has shown us here. I would rather put needles in my eyes than try to manually focus for action win broad sunlight with the Nocti. What are you kidding me????? LOL! I agree. Both cameras produce pleasing pictures. I like both, lust after the M9, but my logical brain chose the Sony. Maybe in the future an M10 will be in my hands. I think the Sony held up pretty well, and for printing, the Sony shots I’ve taken have come out quite lovely.I’m sure the M9 produces wonderful prints as well. I love the bokeh on both cameras. the Sony doesn’t have much in the way of bokeh due to the available lenses, so seeing the Noctilux shots was pretty cool. Elaine, regardless of picture results, these two cameras differ tremendously in the way they can be used. In my view, Sony is a great toy camera capable of producing wonderful pictures but not suitable for professional or serious amateur use as a single camera. 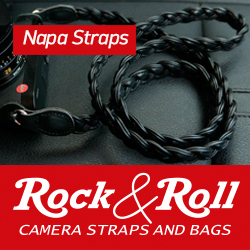 I see it as a good companion to a mature camera, be it a pro-level DSLR or a rangefinder. It just doesn’t appeal to me as a stand-alone tool for serious photography. It’s a pain to focus manually, has limited visibility in bright daylight and is not very steady for handheld shooting. Apart from that, it’s a good little camera which can be used very nicely in situations where the above limitations don’t matter. And I’m sure you will agree with me that those situations are certainly not your regular mainstream photography but rather occasional and special shots like macro, etc. If one already has some 57 cameras and is looking for yet another great toy to play with, or if one has at least one serious pro camera and is looking for a cheap and versatile backup/companion, the Sony NEX should be a great buy. But if you want it as an only camera for any serious photography, then you are unnecessarily crippling yourself. Uhm, okay, Greg. I believe you. Elaine, your consistent replies to my posts make me feel like a preacher. Maybe I should open up a church or something. I agree 100%. I tried a NEX-3 and the arm’s length focusing drove me nuts. I now use an Olympus XZ-1 with their excellent EVF and it’s much better. Let’s hope Sony introduces the NEX-7 with a great EVF. So you tried the Sony EVF? You know there is one, right? I completely agree about the viewfinder! Sony king of innovation? not convinced.